There are a number of reasons why having a doorbell camera can be a good idea. For some it is simply to see who is at the door before answering it. For others it is to monitor package delivery. 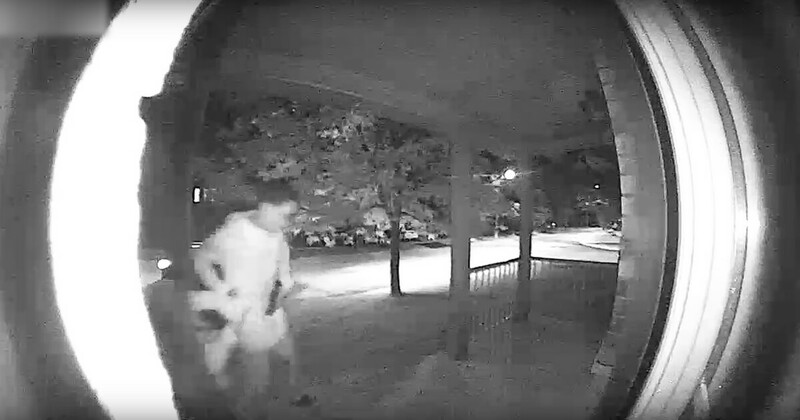 But something few might think of as a good reason to have a doorbell camera is to catch what appears to be an abduction on video. For one Canadian family, that is exactly what happened with their doorbell camera. The Calgary Herald reported that Canada’s York Regional Police released the terrifying video to the public with the hope of being able to identify the woman and her suspected abductor. Please note that some viewers may find the following video to be disturbing. Viewer discretion is advised. The Calgary Herald wrote that according to police the incident occurred at 2:50 a.m. on Thursday (August 23). The woman in the video rang the doorbell, but no one answered. The doorbell camera video shows a man, “armed with what appears to be a handgun,” getting out of a parked SUV and approaching the woman. Some of the conversation is bleeped out and some is inaudible. What can be heard clearly is at one point her stating, “I think I’m gonna die.” His response to that, “Good,” can also be clearly heard. The man grabbed the woman by the hair and dragged her to the SUV. The SUV is then seen leaving with both inside. Because of the released video, police were able to identify both the woman and the suspect. This is due to the tips that came in in the hours following the video’s release. In addition, police have released the name of the suspect they seek. The man has been identified as 27-year-old Jonathan McLennan, of Toronto. He is believed to be armed and dangerous. The public are advised not to approach him if they see him. Instead they should contact police, via calling 9-1-1. Anyone who may have information on where to find McLennan can use the tip line 866-876-5423 x7241.